Christine Capella Shows Us a Superhero Workout! 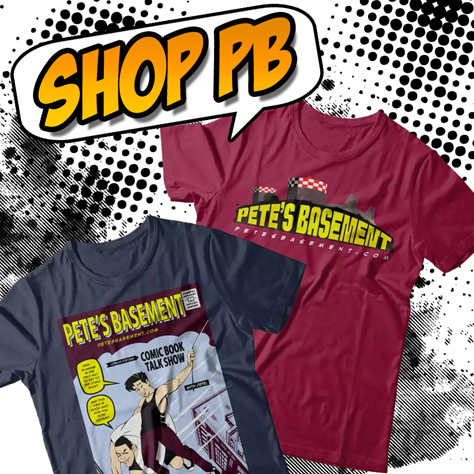 - Pete's Basement Extras! After ten years of pizza, whiskey, and more pizza, let's face it, the Basement Crew don't look like they used to. Fitness pro Christine Capella joins Pete at the roundtable for an extra special Basement Extra! She's gonna' show Pete and the rest of us how to train like a superhero! A set of exercise routines that you can do right in your own home! Plus, how to stay healthy using specially designed meal prep containers, blended superfood shakes, an online support group and tons more! Join Pete as he puts the whiskey down and picks up his water bottle to try out some seriously strenuous resistance band exercises! What are you waiting for? Hit the play button!